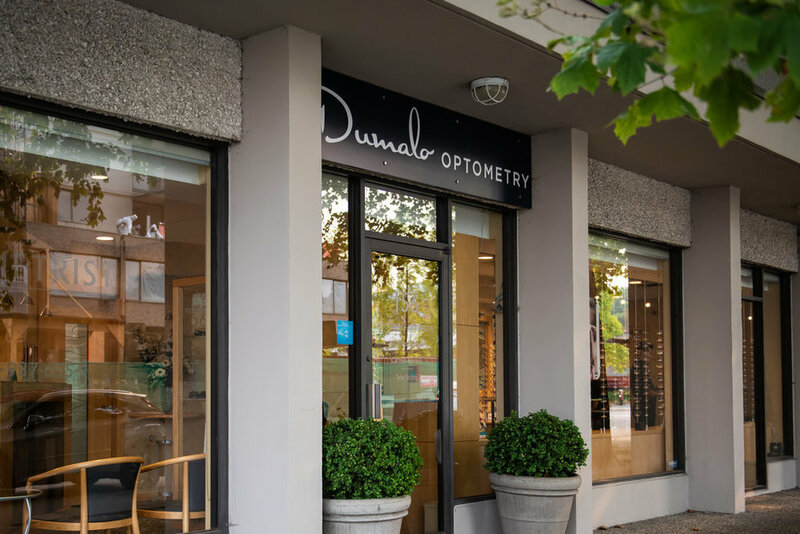 Located in Central Lonsdale, Dumalo Optometry has served the North Shore for over 35 years. A regular comprehensive eye exam is a simple way to protect your vision, as well as an important component in maintaining your overall health. Our team is passionate about eye care and is dedicated to giving our patients the best possible vision requisite for appreciating all of the North Shore’s beauty. We believe in a customer-centered approach and have worked tirelessly to create one of the most professional and experienced eye care clinics in the city. Dumalo Optometry was founded in 1983 and remains family owned and operated. We provide quality vision care, exceptional customer service, an award-winning optical boutique with a distinctive selection of eyewear and competitive pricing on products and services. We've developed many life-long relationships with our patients by providing expert care and quality consultations. We hope you'll give us the opportunity to serve you next! Want to hear more? Send us a message or give us a call during regular office hours. “Superlative vision care. Scientific nurturing, I have been coming here for over 30 years.” -- Greg L.
“They explain everything in plain language and don't promote things that aren't essential at the time.” -- Jessica R.
“Friendly, talented and professional staff make every visit an enjoyable experience!” -- Peter S.
"I've been going here for many many years for all my eye care requirements and I am very happy." --Gail T.
Dr. Carmen Dumalo grew up in North Vancouver and completed her Bachelor of Science degree at the University of British Columbia before continuing on to the University of Waterloo where she graduated with honors from the School of Optometry. Carmen received additional training in ocular pathology at Parkland hospital in Dallas, Texas and spent two months doing eye care work in Malawi, Africa. She’s passionate about volunteering and has donated her services to provide eye exams and mentorship on several VOSH International – Volunteer Optometric Services to Humanity mission trips. When she’s not in the office, Carmen enjoys dancing, skiing, biking and traveling. Sitting on a variety of provincial and municipal government committees. As of 2018, Dr. Antoinette is providing vacation relief and emergency coverage only and no longer has regularly scheduled days at the clinic. Antoinette’s avocations include tennis, sailing, skiing, gardening and volunteering. Dr. Tyler Strong hails from the small town of Rocanville in Saskatchewan. He graduated with honors from the School of Optometry at the University of Waterloo. During his studies, Tyler traveled to Birmingham, Alabama where he received training at VisionAmerica and obtained invaluable knowledge in the management of diabetic and retinal disease, laser correction and cataract surgery. Dr. Strong is married with two young children so when free time allows, he likes outdoor activities such as mountain biking, trail running, snowboarding and recreational hockey. From Moose Jaw, Saskatchewan, to University of Saskatchewan, then University of Waterloo, practices in Toronto, Calgary and now Vancouver, Dr. Marilyn Wong is honoured to be an associate at Dumalo Optometry. 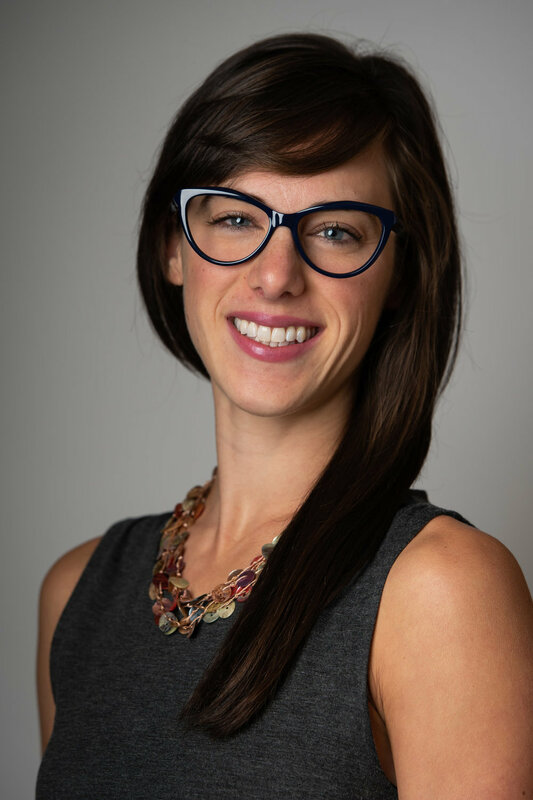 As a longtime Fellow of the American Academy she strives to practise the art and science of vision care through lifelong learning with special interests in dry eye, nutrition, and eye disease. The connection between eye health and body health has driven Marilyn to commit to fitness for herself and her patients ever since university. At the University of Waterloo she met figure skaters on the varsity team who taught her to skate, something she has continued to pursue, along with running and strength training. While raising three sons and having two practices in Calgary, Marilyn volunteered many years on school councils and community associations. The natural beauty of BC drew her to complete a solo hike of the West Coast Trail two years ago, something that instilled in her a dream of hiking to Everest base camp and doing the Annapurna Trail in Nepal. Dr. Wong is happy not to endure any more winters in Calgary (6 AM hockey practices for her sons on -30 degree days were not cancelled). At Dumalo Optometry, we pride ourselves on giving our clients the best quality eye care possible. We do more than help you see clearly—we check the health of your eyes and provide custom solutions based on your individual needs. During your comprehensive eye exam we will evaluate not only your vision, but also look for signs of eye disease and other serious health problems, and provide appropriate treatment or referrals when necessary. After the exam, you'll be guided through recommendations on eyewear that will help you see clearly and comfortably or further consultation on solutions like Lasik and PRK. We direct bill MSP and extended medical plans such as Pacific Blue Cross, First Nations Health Authority and Green Shield. Vision related disorders can be difficult to detect in children as many serious eye conditions have no symptoms. Preventative care and early diagnosis is important to every child’s success as eighty percent of learning is acquired through the visual system. All children should have their first eye exam between the ages of 6-9 months, a second exam between the ages of 2-5 years and annually thereafter. Our children's exams have been tailored to be interactive, comforting and fun! We use state of the art equipment and techniques to test your child’s vision, focusing ability, eye muscle coordination, depth perception, colour vision and ocular health. Optometrists can be the first line of treatment for emergency eye care. Our doctors are trained in treating eye infections, red eyes, removing foreign bodies and managing issues like flashing lights and floaters in your vision. If you believe you’re experiencing an ocular emergency, contact us before spending hours in the emergency room. Our staff are trained to give top priority to your emergency phone call and to triage your case appropriately. Dumalo Optometry is proud to have built an award-winning optical boutique designed by West Coast interior designer, Susan Taubensee. We feature a distinctive selection of quality eyewear, from fashionable budget options to high-end designer frames. Our licensed Opticians are trained to custom-fit the perfect pair of glasses to suit your unique face shape, prescription, lifestyle and personal flair. We also process the majority of orders directly in our lab which allows for quick turnaround on your new pair of glasses! Are you in front of a computer screen a lot? Or maybe you work outside? During your one-on-one consultation with one of our friendly, service-oriented licensed Opticians, you'll be guided through creative solutions best suited to the way you live and work. This commitment to excellence in products and customer service led to an invitation by Nikon Canada to join a select group of eye care professionals from across Canada to become a Nikon Black Alliance Member. The perfect glasses fit may change over time and often just a small adjustment can make a huge difference! This is why our service doesn't end when you walk out the door. If you experience any issue with your purchase of glasses or sunglasses, bring them to our dispensary and we'll do everything we can to make it right. Many repairs can be performed while you wait, however some may require the use of a warranty offered by the majority of our manufacturers. If warranty processing is needed, we'll manage it for you directly. Every contact lens product is unique and designed for a particular purpose. This includes lens material, curvature, fitting, oxygen breathability, deposit resistance, moisture content and lifespan. During your contact lens assessment, our doctors perform a thorough examination, checking your vision as well as ensuring appropriate fitting of the lens on your eye. They take into account your individual vision needs and eye shape to make modifications and recommendations. Our doctors not only give you the best possible vision, but also ensure that your eyes stay healthy! We offer an array of competitively priced contact lens products, including astigmatism correcting, multi-focal, colour changing, and custom hard contact lenses. Our technicians provide expert training on how to appropriately care for your new set of contact lenses, as well as your eyes. When you purchase a retail supply of contact lenses from us, you can take comfort in knowing you're getting a professionally verified prescription and that you'll be eligible for contact lens related consumer programmes. Give us a call or place an online order with us. You may pick up your contact lenses in-store or have them shipped directly to you. If you experience any issues with your order such as a change in prescription, bring them back to us within a year of purchase and we'll exchange them free of charge or provide a refund. Extraordinary Colours. Avant-Garde Design. Blackfin provides a meeting of technology, and volumes, weighing only 2.4 grams. Eyewear with a strong personality and style, so light and comfortable you hardly know it’s there. Chloé uses a mix of brand iconic elements such as soft materials, round shapes, and warm and sandy shades. Each style plays with shape and volume ranging from retro to aviation, oversized to timeless. Givenchy respects the style that characterizes the fashion maison. Pure, almost square lines for a neutral outfit that aims to show the true essence of who wears them. Givenchy combines craftsmanship with technology. BOSS eyewear is expertly designed with the utmost attention to detail. Sharpen your focus and move toward your goals in a pair of their signature frames. Kate Spade eyeglasses range in a glamorous, inventive and exceptionally fashionable collection of styles that will stand the test of time. Traditional eyewear craftsmanship combined with high-tech, modern French manufacturing techniques. Each season’s offerings include sleek, smart and tailored frames for men, luxurious feminine pieces for women and fun whimsical styles for children. Maui Jim frames are designed to follow shifting fashion trends and are structurally and stylistically engineered to balance aesthetics with fit and integrity. Nano glasses for babies and kids from 0 to 4 years can be adapted to all uses with temples or switched to wear as a headband: From a quiet class room to a rugged playground. Ørgreen’s signature optical wear exemplifies clean Danish minimalism. Add premium metals and a Japanese production process spanning 100 steps and 6 months, and you have precisely what Ørgreen strives for: supreme quality. Polaroid polarized lenses ensure more comfort and less glare. Thanks to their anti-glare properties, Polaroid lenses can be worn all day, every day, to live every moment in style, safety and comfort. Best known for their Wayfarer and Aviator lines, Ray-Ban has been an institution in eyewear fashion for nearly 100 years. Find the trademark styles you know and love in frames for men, women and children. Silhouette is an Austrian brand that has made classic and innovative eyewear since 1964. They produce some of the lightest glasses that don't sacrifice quality workmanship. Tom Ford is a world-renowned designer who has managed to create a true luxury brand in a short period of time. His collections cater to those who seek the ultimate in style, sophistication and exclusivity. Zen create unique eyewear with different shapes and innovative colours to provide glasses that fit each individual. Dumalo Optometry is part of a select group of eye care professionals from across Canada to have been selected as a Nikon Black Alliance Member. Historically, Nikon is a company best known for its superior camera lenses, however, the same technology, materials, and wealth of optical design knowledge that allowed Nikon to revolutionize the field of photography are also being used to design and produce premium ophthalmic lenses. As a pioneer in lens technology, Nikon strives to design lenses that offer the best possible vision to every person. Inspired by the beauty of Maui and the power of the sun, Maui Jim is a technical lens company at heart. Dumalo Optometry offers Maui Jim's in plano, plano with reading addition and prescription sunglass options. Alcon products provide refreshing comfort, so you can make the most of every day. Try one of their widely recognized contact lens products such as DAILIES Total One, Air Optix Aqua, Air Optix Night & Day, and DAILIES AquaComfort Plus. Bausch & Lomb offers a large range of prescriptions for soft contact lens wearers, including those with astigmatism and presbyopia. Their wide variety of vision correcting products include Purevision 2, Ultra and Biotrue Oneday contact lenses. Since 1980, Cooper has been making contact lenses - all with health and comfort in mind. Today, they're known for signature products like Biofinity, clariti 1 Day, Proclear and MyDay. Johnson & Johnson is one of the most well-known names in healthcare product manufacturing. Try their popular lines with products such as Acuvue Oasys, Acuvue Vita, Acuvue TruEye, Acuvue Moist and Acuvue Define colour-enhancing lenses. Call (604) 987–6554 during regular business hours, or request online. Call (604) 987–6554 during regular business hours, or order online.